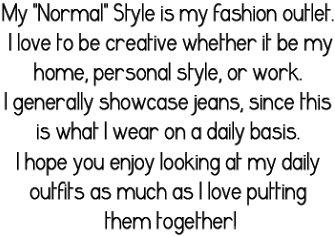 My "Normal" Style: The Good Life: Where do you blog? The Good Life: Where do you blog? Another link up for "A Day in the Good Life". This week's subject is "Where do you blog?" I have a confession to make... I am a huge home body!!! Have I already said that on here? Sometimes I forget exact little statements I make, but this is sooo true! This is how I blog. At home. Actually I go all around Omaha and take pictures (with my hubby by my side most times). I take all of my own pictures, but I do like having him with me. He's a great friend! So, my photos are all around and about this great city, but when I sit down to do my posts it's usually at my table or my spot in our family room. (Don't we all have our spots!) Since my office upstairs has been converted to my closet or should I say department store. Just say'n... For instance, I am sitting right now looking like the bottom photo, robe/slippers and all, typing up this little dilly. I don't care that it's something like ninety out. Comfy, cozy is my motto! I have many components to this little hobby: I put the outfits together upstairs in my closet. I take the photos anywhere around town. I then edit the photos, type up the posts, and post the finished product ...in my home. Told ya! I'm a home body and that's how I blog. If you want to see how others blog click "The Good Life" photo below. It's pretty fun and interesting to see how others type up their passions. Also, you can join us and show how you blog...Click the link! Great post again. Thanks doe lustre king up! OK LOVE the centerpiece on your table!! !